"Witchlight", a paranormal novel by J.S.Watts - Holly has been mortal all her life. Now at thirty-eight, her fairy godfather arrives to tell her she’s a witch, and suddenly she's having to come to terms with the uncertainties of an alarmingly magic-fuelled world. Magic is not like it is in the books and films, and Holly starts to doubt whether her fairy godfather, Partridge Mayflower, is the fey, avuncular charmer he appears. "“Witchlight” is not a spin-off of other witch-fantasy books on the market. On the contrary, it sits squarely in its own niche and provides an enjoyable and suspenseful read with a surprising ending." Susan Roebuck, Author. "if you're looking for a cast of lovely characters, an interesting plot, and the story that will reel you in right from the start, then this is it." "Watts has great descriptions that make scenes vivid and come to life." Amy, Lost in a Good Book. "as it all comes together in an enchanting conclusion it is clear just how clever Watts has been, not just in idea but in execution." 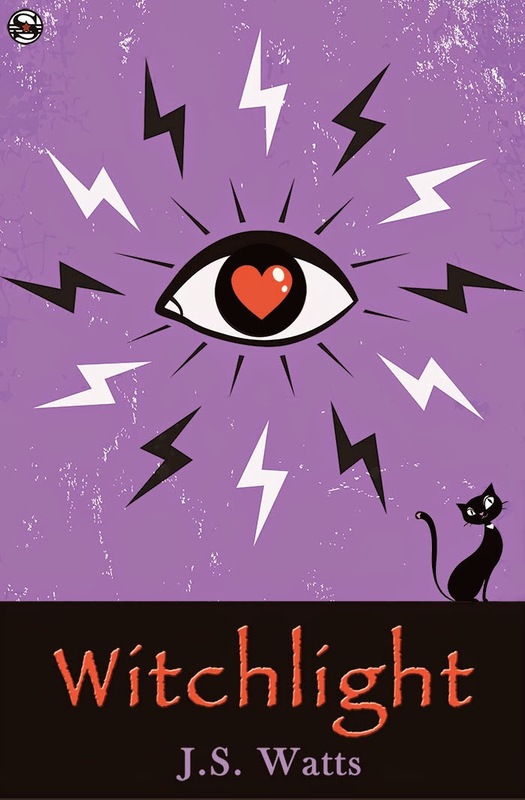 Witchlight by J.S.Watts (ISBN 978-0692406908) is published by Vagabondage Press in paperback and e-book formats. Also: Powell’s, iBooks, GooglePlay, Kobo, and Sony. A novel by J.S.Watts - Abe Finchley is a damaged man, an orphan with no roots and no family ties. When he finally meets the woman he has been looking for all his life, he finds not just love and passion, but a dark and violent family history that spans generations into humanity’s deepest past. Eve is the woman of his dreams; but dream is just another word for nightmare, and Abe knows all about those. Amidst a confused web of lies and secrets, Abe is trying to discover who he is and make sense of what he may become. More than just his future and his new-found love is at stake. When he discovers that he has a brother, a man bound by divine destiny to kill him, Abe is going to have to make a difficult choice. A choice that might redeem the world. A choice that just might destroy it. A Darker Moon is a dark, psychological fantasy. A mythical tale of light and shadow and the unlit places where it is best not to shine even the dimmest light. 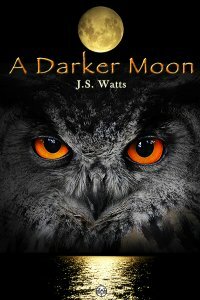 A Darker Moon by J.S.Watts (ISBN 978-0615706528) is published by Vagabondage Press in paperback rrp £10.00 or $14.95 and e-book formats. Also Amazon.com, Barnes and Noble, Powell’s, iBooks, GooglePlay, Kobo, and Sony. The Earth is the only known planet with seas of liquid water across its surface. It contains more water than land (approximately 71% of the planet is covered in water). Britain is an island surrounded by sea. There is every chance that humanity’s primitive ancestors first crawled out of the sea to become land dwellers. Over half of each one of us is water. The sea birthed us, feeds us, entertains us, gives us our climate and geography. It may, some day, rise and kill us. And yet, mostly, we take it for granted. 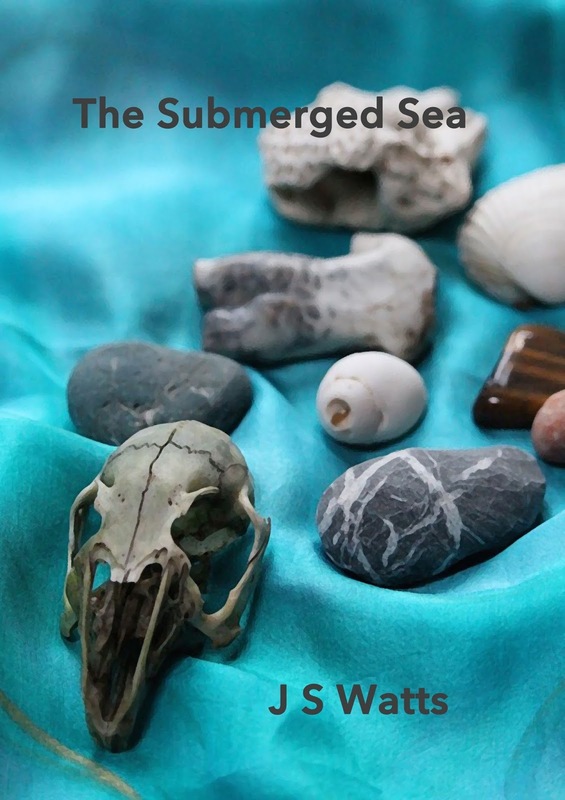 The Submerged Sea is a metaphysical dip into the sea in all its incarnations: the real sea, the imagined sea, the sea as metaphor, the historical, the political, the ecological and the personal sea - the sea within us all. "This is a wonderfully-atmospheric poem built on the contrast between the night-time British sea and the daytime “changeable creature of moods and tantrums”. The fragmentary approach of the poem is intuited by the title reference to “notes” which via a collection of observations, descriptions and comparisons allows the reader to share the poet’s marvelling and eventual questioning of the subject." - Roger Elkin on Night Notes on Sea (British Coast), now published in The Submerged Sea. The Submerged Sea by J.S.Watts (ISBN 9781907435591) is published by Dempsey & Windle, rrp £6.00. 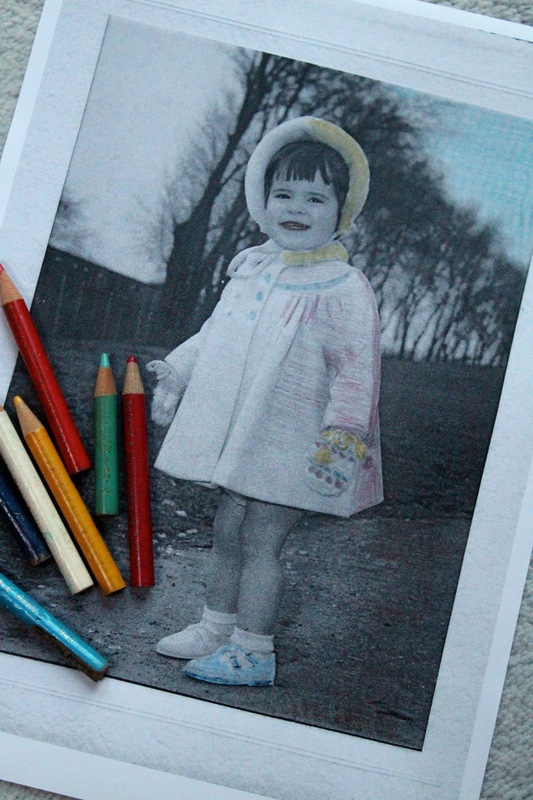 Years Ago You Coloured Me, is a poetry collection echoing with things, times, places and people lost and not quite lost, as well as those never lost while memory lingers. These are poems of influence and resonance, both past and current, capturing personal and broader histories, and the shadows that sometimes follow. What is history, after all, if not selective, recorded memories? The past tells stories as we choose to recall them. The personal is there, plus the wider matters that shaped it. We have only to remember to remember. That is an art. Included amongst the poems in the collection are: Bonedancing, which was shortlisted for the 2008 Wells Literary Festival International Poetry Competition; Green Rushes, nominated for a 2011 Pushcart Prize and View From Sheep Field Barn, Much Hadham, which won third prize in the Yeovil Literary Prize for Poetry 2015. 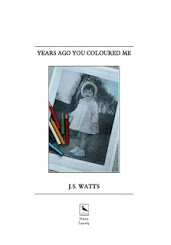 Years Ago You Coloured Me by J.S.Watts (ISBN 9781910855157) is published by Lapwing Publications, rrp £10.00. A pamphlet-sized poetry sequence by J.S.Watts, "Songs of Steelyard Sue", is published by Lapwing Publications. The poems narrate the life and times of a future-world everyman, or, more accurately, everyfemale-mechanoid, the titular Steelyard Sue, eking out her existence on an Earth turned rubbish heap. 24 Bridge Street, Hitchin, Herts, SG5 2DF. 47 Bell Street, Sawbridgeworth, Herts, CM21 9AR. J.S.Watts' debut poetry collection, "Cats and Other Myths", is published by Lapwing Publications. It is a collection that finds contemporary relevance in the echoes of myth and legend and the mythic in the day to day world around us. Given truths are questioned and examined and if this means that dearly held beliefs are seen as the fairy tales they are, then so be it. These are poems of history and humanity, love and relationships, life and death and the things in between. Oh, and yes, there are also cats. 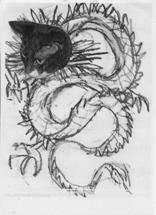 'Two Dragons Dancing', from Cats and Other Myths, was chosen as June 2011 Poem of the Month by both Lapwing Publications and Adam Rudden (Modern Irish Poetry). "Watts has a wonderful ability to evoke both ferocity and tenderness at the same time... a book packed with dense, cleverly thought-out poems...richly alive." Christopher Frost - NEON. Cats and Other Myths by J.S.Watts (ISBN 9781907276644) is published by Lapwing Publications, rrp £10.00. 16 St. Edward's Passage, Cambridge, CB2 3PJ. 20 Trinity Street, Cambridge, CB2 1TB. 9 High Street, Ely, Cambridgeshire, CB7 4LJ.